This chart pretty much sums up Yahoo’s future prospects, doesn’t it? 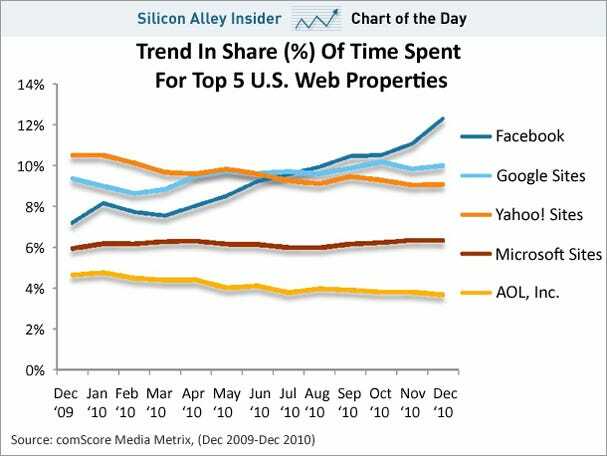 For the year, time spent on Yahoo’s properties slipped from first place to third place, according to comScore. And we see no reason for it to reverse. If you’re Yahoo, and looking for a glimmer of hope, you can console yourself by saying, “at least we’re not AOL.” AOL’s share of time was in fifth place, and slipped throughout the year. 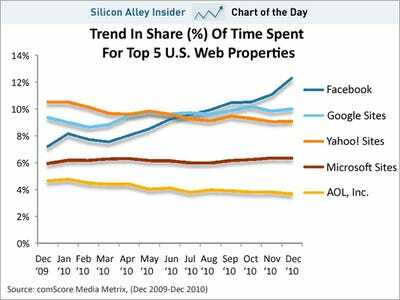 aol chart of the day facebook google microsoft sai-us yahoo!